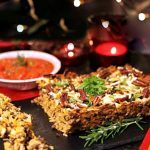 Home » Diet » Top 5 Health Benefits of Tempeh! It might be because I’ve just gotten back from a short trip to Asia that I’m now, totally into all sorts of soyabean food! Tempeh or Tempe is a traditional soybean-made Indonesian food (probably originated from Java) that has been fermented and pressed into cake form. It’s considered to be the only traditional soya food that didn’t get its origin from Greater Chinese cuisine. Tempeh can be made from other beans such as wheat or a mixture of soybeans and wheat. The use of the whole beans offers a higher content of vitamins, fibre and protein. Curious, read of for our Top 5 Health Benefits of Tempeh! Tempeh has a high content of probiotics, thanks to the fermentation of phytic acid in soybeans that are broken down, helping your food absorption whilst improving your digestion. A 2013 research study found out that tempeh made from soybeans were more effective than other bean-based tempeh in the stimulation of beneficial types of bacteria strains (Bifidobacterium) in the gut. Tempeh made from soybeans is rich in isoflavones that have been linked with the decrease of cholesterol levels. The American Journal of Clinical Nutrition research on soya isoflavones found that the compound significantly reduces cholesterol overall as well as LDL cholesterol. Tempeh contains niacin as well which, again, appears to help in keep cholesterol levels under control. Moreover, niacin could help increase the good cholesterol that keeps your arteries clear from fatty residues. 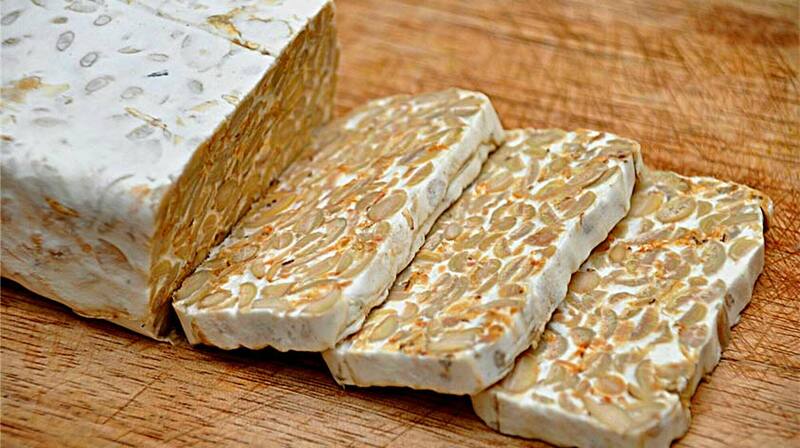 Tempeh is a good source of calcium and could help in the prevention of conditions such as osteoporosis. It can be a helpful alternative if you’re dairy intolerant and at risk of missing out on your calcium intake. Tempeh is rich in manganese with one serving containing about 54% of the recommended intake. Manganese plays an important role in the synthesis of nutrients such as proteins, carbohydrates and cholesterol. One of the benefits of manganese is to help the regulation of blood sugar levels. Manganese also helps produce digestive enzymes through gluconeogenesis (a process that assists in the conversion of a protein’s amino acids into sugar) and balancing that sugar within your bloodstream. The isoflavones it contains makes it a good natural remedy for menopausal relief for symptoms such as hot flashes and mood swings, which can be associated to a sudden spike in cholesterol levels. 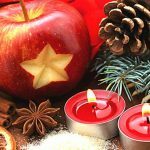 Top 5 Health Benefits of Quince!